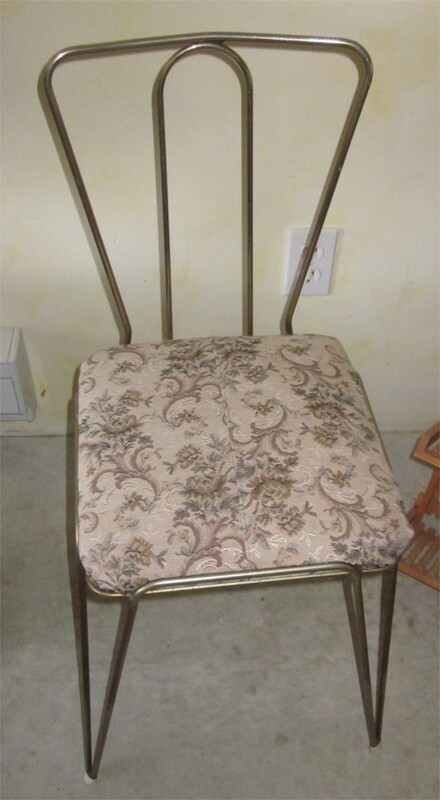 Our second transformation this week was with a vanity chair. So, first step: to clean the chrome and then spray-paint it. Here I am ready to paint – at least for the second coat. I hadn’t realized how windy it was outside and when I put on the first coat, I ended up with green paint in my white hair ! Not a good look. So for the second coat, I was better prepared. Christine geard up for the second coat of green paint. The choice of fabric was made. A beautiful piece of barkcloth called “Saison Happily Married Fabrics” from the 40s or 50s with a great bird of paradise sitting on big tropical leaves and lovely red flowers. 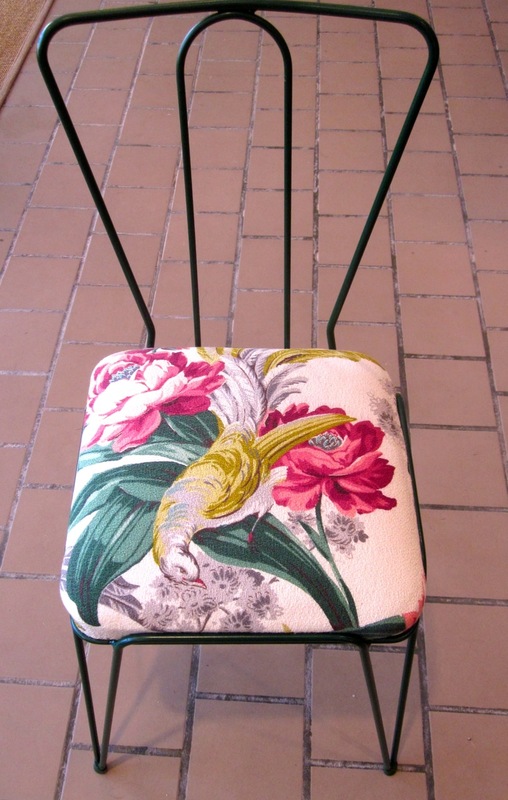 Jane remade the cushion and here is the transformed little vanity chair ! Now so sweet to perch on.